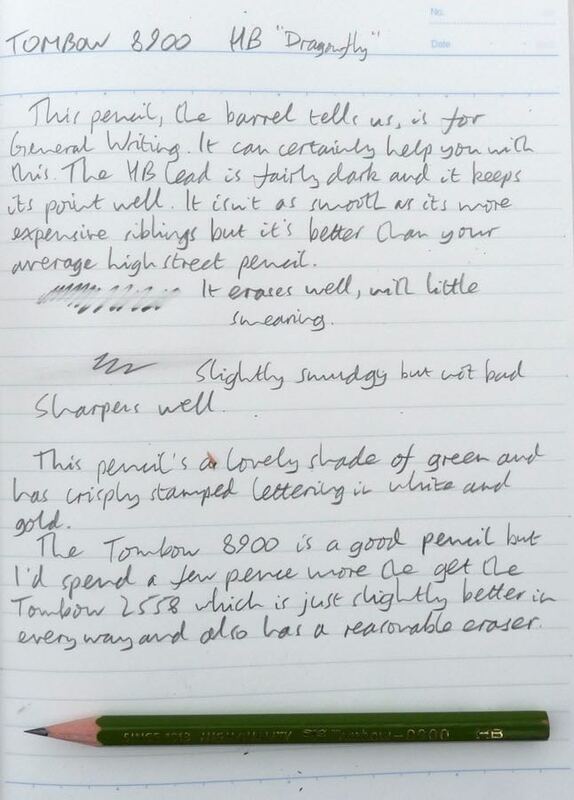 Tombow 8900 Pencil Review – Pens! Paper! Pencils! 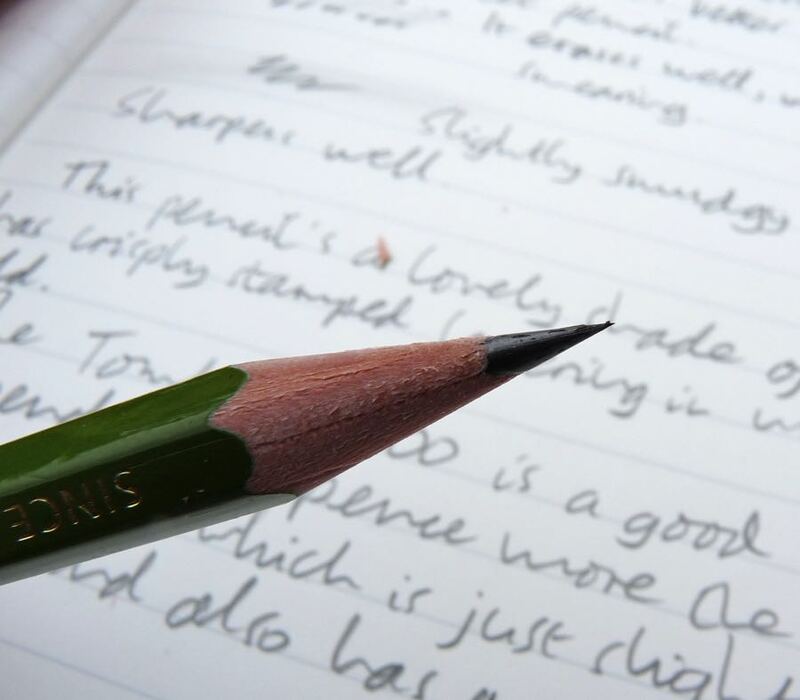 Tombow make great pencils for both writing and drawing. 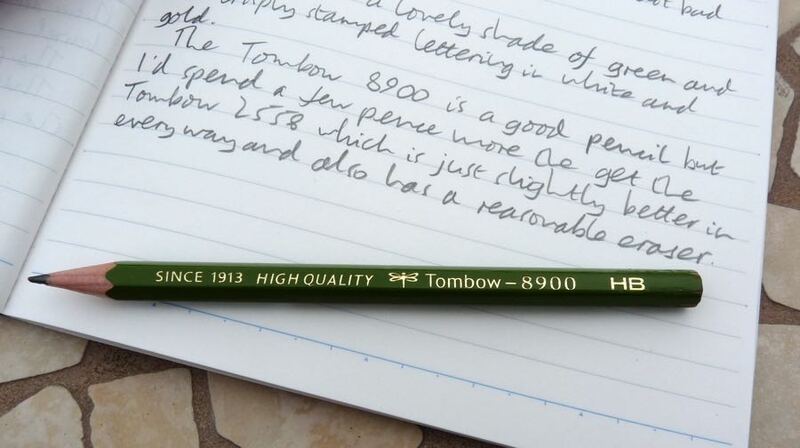 The 8900 is Tombow’s cheaper pencil for “General Writing”. 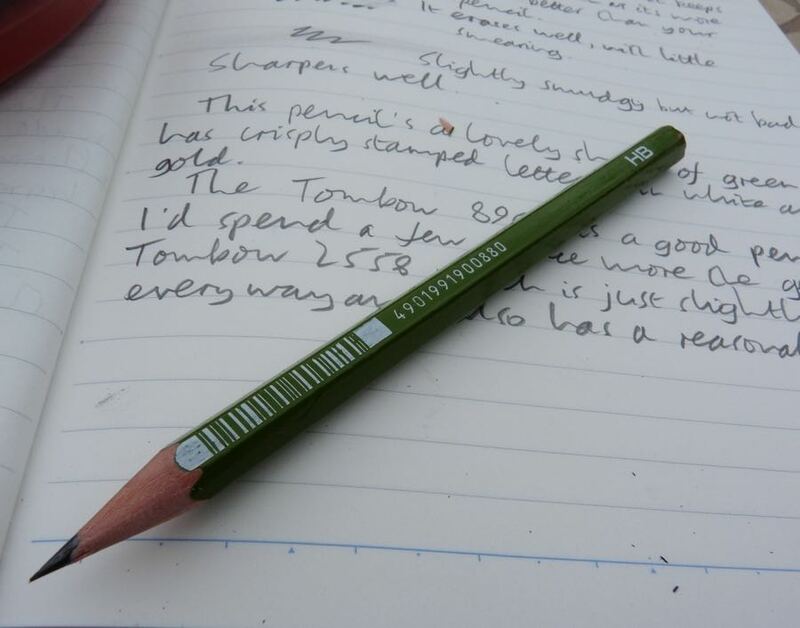 The 8900 is a good looking pencil. It’s simple, with an unfinished end, but a good quality green finish and crisply printed letters. The important information is in gold. The less important information and the ugly barcode is in white. The pencil sharpens nicely giving a good point with a smooth finish to the wood. The graphite is fairly good. 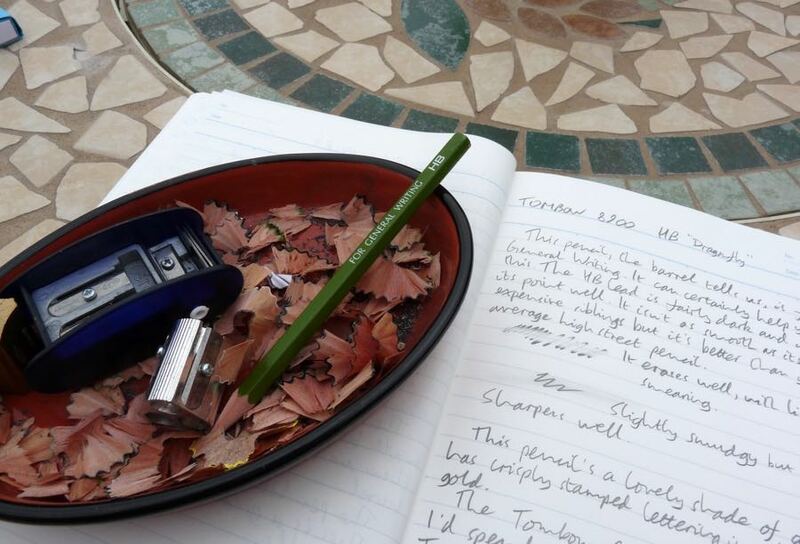 It’s a step above the usual fare you might find in shops but it’s not quite up to the standard of, for example, the Tombow 2558. It’s smooth but not as smooth. 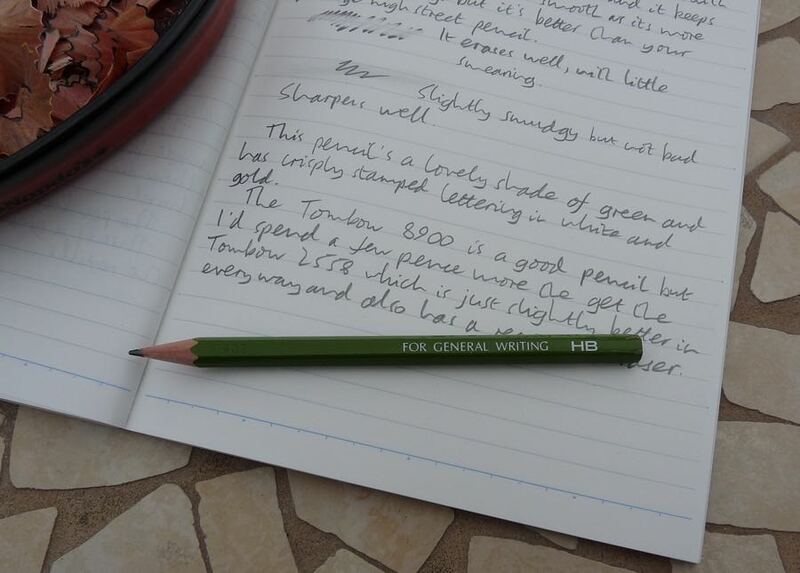 The 8900 is a good pencil. 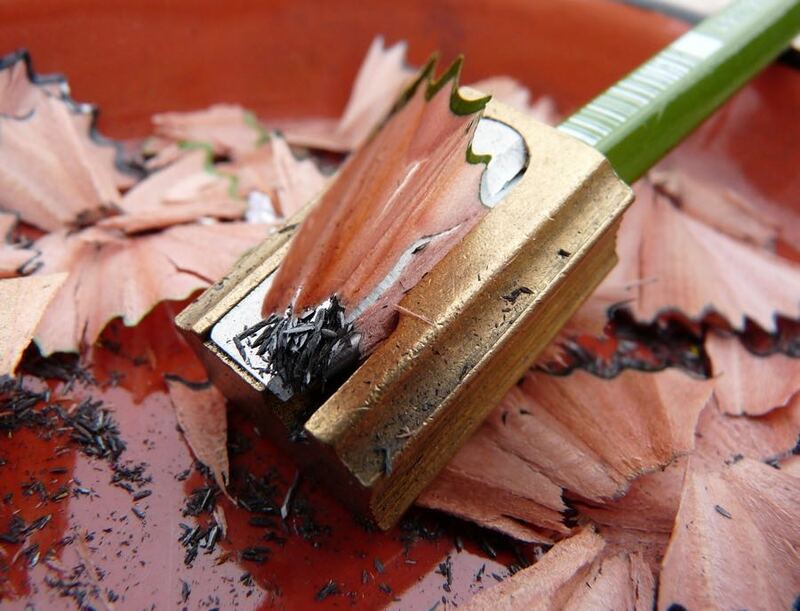 However, for not much more you can get a 2558 which is a great pencil and also has an eraser.